Immigration attorneys expect thousands of recently graduated international students who've been hired by U.S. companies to be forced out of their jobs today due to delays in processing H-1B high-skilled worker visas and strict new policies imposed by the Trump administration. Why it matters: Recent grads are allowed to remain in the U.S. if they've applied for H-1B employment visas. But they are no longer allowed to work while their applications are pending, likely making it difficult to afford to stay. "The best case scenario is that the failure to get all of these applications processed by October 1 was a mistake. The worst case is that it was intentional. In either case, there's a lot of unnecessary human carnage inflicted on people who have not violated any point of immigration law." — Leon Fresco, attorney at Holland & Knight and former immigration lawyer at the Justice Department, told Axios. What's happening: Any student with an expired F-1 student visa who continues working will risk accruing "unlawful presence." This could result in a ban from the U.S. for various amounts of time, according to new, strict policies introduced by the Trump administration earlier this year. The only alternative to waiting jobless while an H-1B visa is pending is to re-enroll in certain classes and maintain student visa status. But that also is costly. One potential backfire: International students have "dumped a lot of money into our current university system that's starving for funds," often with the expectation of finding employment, Katie Fields, a manager for international recruiting at a large staffing agency, told Axios. "In a round-about way, it's going to ruin some of the reputations for these schools that have been marketing to these students." Immigrants with expired F-1 visas or recent tech graduates who worked under the Optional Practical Training (OPT) program were given an extension — known as a "cap gap" — until October 1. This allowed them to continue working while their employment visa was pending. 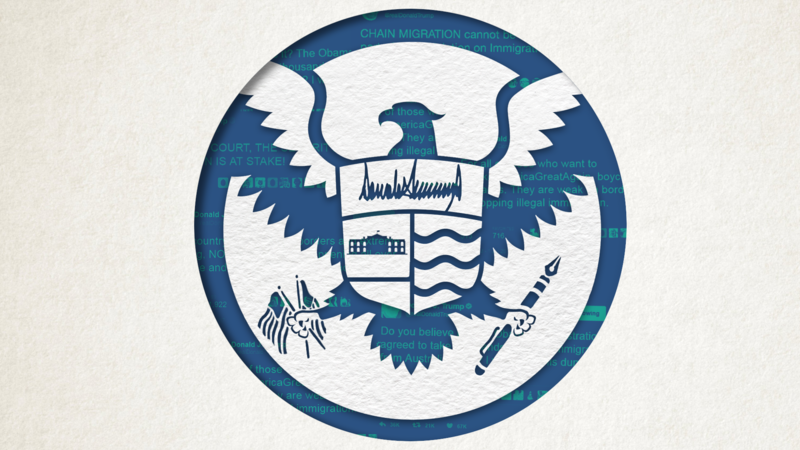 The Trump administration also eliminated "premium processing" — a system that allowed visas to be fast-tracked in time-sensitive cases for an extra fee. But U.S. Citizenship and Immigration Services is dealing with a long backlog of cases, according to a spokesperson. It failed to process all of the cap-gap visas by the deadline, even though it said ending premium processing would allow the agency to expedite their review. “If the government can’t process an application in six months then it should consider allowing companies to pay $1200 to speed things along."